2001-2002 border standoff is one of the forgotten histories of Indian armed forces, who were close to the destruction of Pakistan, which was later called off due to International pressure. The Operation executed under the code name of "Parakram". It's a revenge of Pakistani terrorist attack in Kashmir State assembly and follow on the attack in Indian Parliament. India is almost close to striking Pakistani positions during the Kashmir legislative assembly attack in October 2001, However ministry deescalated the tensions and slowed down. The Pakistani's didn't they carried out another massive attack on the world's biggest democracy's center The Indian Parliament. Which urged the government to make the decision to hit the Pakistan very hard. India almost close to the war by mobilizing the troops close to the Pakistani border, International communities like UN and other nations like Russia and US asked India to restraint. India refused their advice and allowed the Army keep strengthening in borders. End of December is the most important days in the history, where both India and Pakistan deployed their ballistic missile on ready to fire mode, air restrictions also imposed in the various zone. This alarmed all the International community that India and Pakistan close to nuclear war, where both nations acquired nuclear weapons years ago. 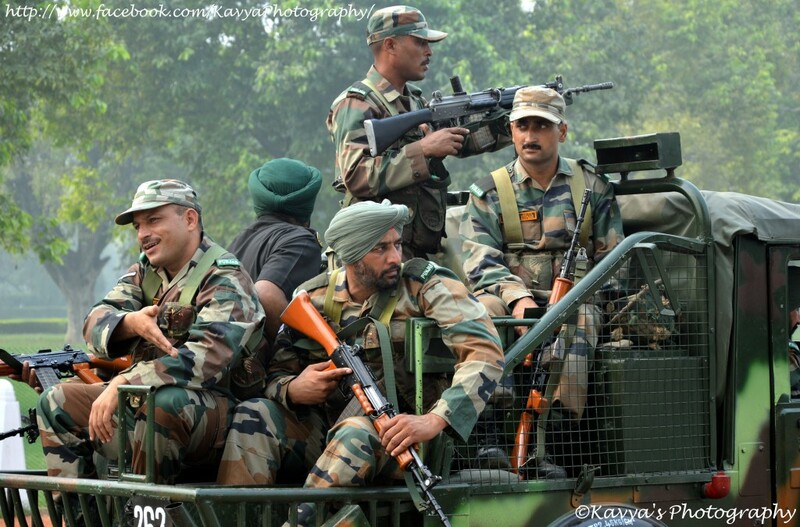 India deployed more than half a million of troops close to the Border while Pakistan deployed 0.3 million Soldiers. after the troop mobilization by both nations, Pakistan did Kaluchak Massacre by killing 34 Indian women and Children, most of them were son's and wife's of the Soldiers. this escalated further, India responded with the mobilization of army strike corps close to the border. Lt.Gen Kapil Vij is the man who commanded the IInd strike corps. one of leading most powerful armed forces in India, equipped with artillery's, paratroops, Tanks, armored columns air defense brigade and special infantry platoon. The IInd corps garrisoned in Ambala, where some of its divisions located in Patiala, Dehradun, and Meerut, all those HQ's are some 200 km off from the border, During operation Parakam, GOC asked the troops close to the border, they were moved very close, i.e) 2 kilometer off from the border, If they get to go order they can enter Pakistan within few seconds. Meanwhile, tensions built up in Kashmir region with heavy artillery fire from both side, It resulted in the killing of six Pakistani soldiers and we lost one soldier. Pakistani's have no idea, what happening on the Wahga until the American satellites exposed the Indian built up close to Lahore. Indian navy silently reading for the wrecking mission, Indian Navy ships entered into Pakistani territorial waters and waiting to receive the firing order. The Russians intervened the issue and trying to de-escalate the tension. The Russian President Putin acted as a mediator between India and Pakistan, where India is not in a position to hear others advice. Analysts suggested that India went silent only due to the nuclear threat posed by the Pakistani's. Pakistani dictator Musharraf said, "he would not renounce Pakistan's right to use nuclear weapons first". Later 2009 another Pakistani analysts confirmed that "It was a big upset about what happened to the economy after the [atomic] tests in 1998, but was consoled that in 2002, when India mobilized half a million troops on the border after an attack on its parliament in 2001, but was finally forced to withdraw the "due to the danger of a nuclear retaliation by Pakistan". Later in 2002, India starts demobilizing its troops followed by a ceasefire agreement November 2003.